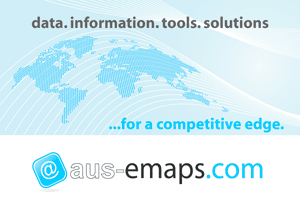 #All-things-spatial: 2016 Census – here comes the data! 2016 Census – here comes the data! Tuesday 27 of June 2017 is the official release date of 2016 Census data. The first batch of information contains a comprehensive list of demographic and socio-economic topics for areas down to local neighbourhood level. The ABS Census of Population and Housing is conducted every five years and provides a comprehensive picture of Australia's people, how they live and where they reside. The information collected during the Census is used to distribute government funds and plan services for the community – including those relating to housing, transport, education, industry, hospitals and the environment. Census data is also used by individuals and organisations in the public and private sectors to make informed decisions on policy and planning issues that impact the lives of all Australians. And of course, Census data is also a valuable source of statistics for research and data analysis in support of business activities as it provides comprehensive information on potential customers and markets. 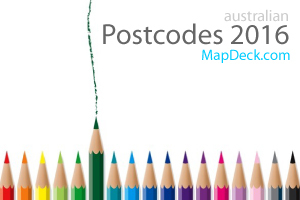 MapDeck will be adding the 2016 Census data to its inventory progressively from the day of its official release, starting with free excerpts of statistics for Postal Areas. All relevant Census 2016 related statistical geography is already available on MapDeck for immediate perusal. 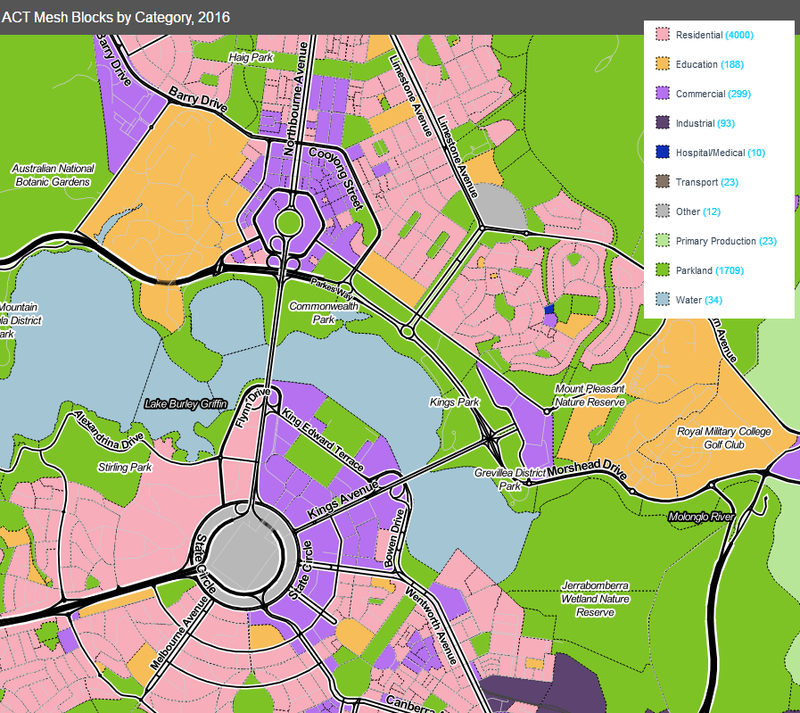 This includes, for example, Mesh Blocks, the smallest statistical geography units and building blocks for all other larger structures, like suburbs or postal and local government areas, etc. A unique feature of Mesh Blocks is that each one is classified according to a dominant use of the area, like residential, parkland, education, commercial, etc. This makes it possible to use mesh blocks to create simple maps of land use, as the one below for the ACT. Imagine the possibilities… Sign up for free MapDeck account today (your invite code is: c3df6244 )!